Creating and building the San Diego home remodeling design that you will enjoy for many years is not to be taken lightly. For this reason, it is recommended that you work with general contractors San Diego or a San Diego design and build contractor from the beginning. When you are designing a home to love, you hope that your architect will point out any design flaws in your blueprints. However, it is also important to be well versed in the project yourself. It helps to feel a sense of purpose behind every decision you make when designing your home. It is equally necessary to know why you are avoiding certain things. Below are some common mistakes to avoid around home remodeling design San Diego. When designing your home, perhaps your first instinct is to design one that is as large and magnificent as your budget allows. It can’t be stressed enough that the size of your land parcel must be taken into consideration. A giant house on a tiny lot seems like it is trying too hard. This mistake alludes to homeowners that are insecure about their wealth. Instead of building a home that eats up your yard, consider what type of landscaping you will do. Imagine a backyard with beautiful gardens and sitting areas while resisting the idea of adding indoor square footage where it’s superfluous. Here in the northern hemisphere, bright morning sunlight streams effortlessly through windows on the south sides of structures. Take advantage of the availability of natural light by choosing the largest and most well-insulated windows within your budget for the south-facing walls. Consider that contrarily, less sunlight is available on the north side, so north-facing windows may be less important. Although San Diego’s climate is warm and comfortable year round, investing in the best insulation your budget allows is necessary to conserve energy spent on air conditioning. Good insulation does not just trap heat; it traps coveted cool air too! Fossil fuel residues stick to the soles of our shoes when we walk on the streets and sidewalks. Quite a bit of pollution can get tracked into the home this way. A generously-sized mudroom for shoes, umbrellas and coats greatly enhances the cleanliness of the home as a shoe-free zone. 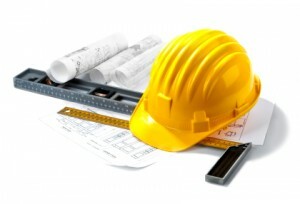 San Diego home remodeling design happens most smoothly when avoiding these common design pitfalls. In the event you are looking for some San Diego home addition ideas we encourage you check out our other posts. This entry was posted in Home Remodeling on March 14, 2013 by budgeit.